Eat enough protein so your body can synthesize or use protein to rebuild your muscles that are made up of protein into bigger & stronger muscles. Protein is the ONLY thing you can take that is going to actually build muscle. Even Steroids ONLY work because they help your body use more protein. Other foods & supplements ONLY give you more energy to lift heavier weights, do more reps or make your muscles look bigger and they don't directly build muscle like protein does. 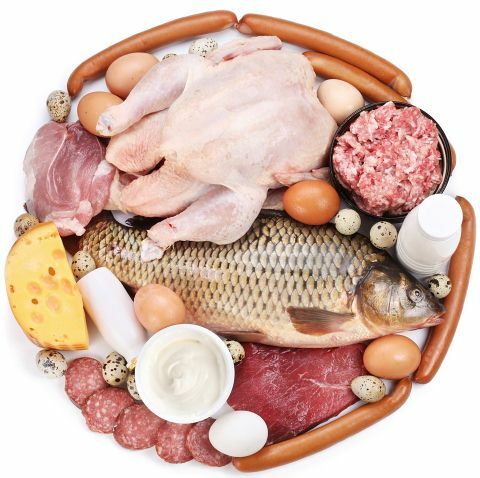 See 79 High protein foods but any animal food sources, nuts, seeds & beans are high in protein. There are no superior protein foods or shakes. Protein is Protein. Just get enough protein along with progressive overload to build muscle. Bonus: You'll actually burn more fat when protein is at least 30% of your diet. 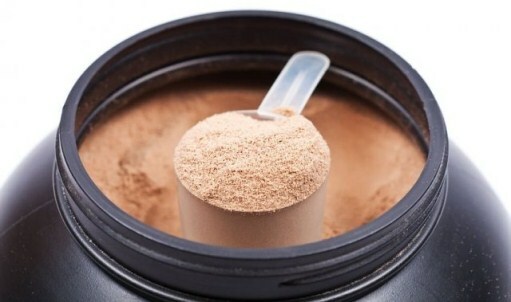 They'll try to make you buy separate pre-workout, post-workout & nighttime protein products when studies show there is no magic time to take protein for better results. They'll say you need over 1 gram of protein per lb. in an attempt to make you buy too much protein when studies show you can build muscle with only .64-to-.82 grams per lb. They'll say their brand or type of protein is superior when studies like this & this show that PROTEIN is PROTEIN and as long as get enough of it in your diet you'll build muscle. Carbs also force more water into your muscles making them look bigger. It doesn't matter how you get carbs but getting the majority of your carbs from sugary processed foods may cause you to gain belly fat. See how many carbs you need to build muscle but the amount of carbs you eat will mainly depend on your workout performance and/or how much fat you're trying to lose. Creatine gives your muscles extra energy to lift heavier and do more reps than you normally would to help you build muscle faster because of the progressive overload trick and Creatine like carbs also draws more water into your muscles to make them look bigger. Start with a 5-to-7 day loading phase where you take about 15-to-30 grams of creatine per day to quickly pump your muscles up with the maximum amount of creatine it can store. Expect to gain 5+ pounds of muscle mass during your first 5-to-7 days mainly because all the creatine you're taking will cause your muscles to absorb a lot of water making them swell up. Take gs of creatine during your first 5-to-7 days. Take gs of creatine afterward for at least 3 days per week. Don't stay on a loading phase for longer than 5-to-7 days because once your muscles are fully pumped up with creatine the excess creatine you take isn't used by your muscles and is literally pissed away. If you stop taking creatine You won't lose any of the muscle creatine helped you build but after a month of not taking creatine your muscles will look a bit smaller because your muscles are no longer pumped up with excess creatine & water. Creatine monohydrate found in Optimum Nutrition Creatine is the best simply because Creatine monohydrate was used in almost every study proving creatine works. Other forms of creatine like ethyl ester, citrate, serum, & malate haven't been studied as much or not at all plus creatine monohydrate is less expensive. If you're unable to get creatine then make your own poor man's creatine by getting enough water & carbs in your diet to get nearly the same energy boosting & muscle swelling benefits. At least 15% of your diet needs to be fat (mostly from saturated & monounsaturated fats) in order keep your testosterone levels high enough to build muscle. You can get enough fat in your diet eating foods high in healthy fat like fish, nuts or using Omega-3 or CLA supplements. Don't use caffeine everyday because you may develop a tolerance or your body will get used to caffeine within 1-to-4 days where you'll no longer get an energy boost. Only use caffeine about 1-to-3 days per week or only before your toughest workouts to avoid developing a tolerance to almost guarantee you'll always get a caffeine energy boost. If you do develop a tolerance then you'll have to stop taking caffeine for at least 2 days (maybe even weeks or months) before you're able to get rid of your caffeine tolerance. Caffeine tablets like ProLab Caffeine 200mg Tablets or any fat burners containing caffeine like Lipo-6 or Hydroxycut are best. Energy drinks like Red Bull are okay but with only 100mg of caffeine it may not be enough to give you an energy boost. Do I Really Need Supplements to Build Muscle? NO! Absolutely Not! 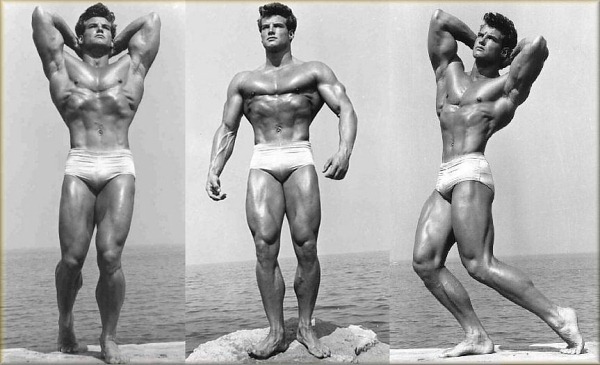 You can build plenty of muscle with enough protein, carbs, fats & water in your diet just like Steve Reeves pictured above who gained lots of muscle mass before muscle building supplements even existed. I'm 5'1 and weight is 115. My goal is to buil muscle mass growth in my thighs and flutes FORSURE. As well as tummy/waist shrinking of course. However , due to my work schedule , I'm out at 6 pm everyday, I dont know how to exactly tan everything I need to take. I suppose I need some guidance on how to properly BG in and consistently keep it going. Thank you! My age is 23 and my weight is 83 height is 5.11. I don't think my weight is too much nor am I skinny person. It's been a month I have started gymming and the diet and everything is perfect. What are your thoughts on CLA in regards to weight loss and muscle building? i am a INDIAN 18 Year old boy. my weight is 67 kg hight 6'0 feet.i am a athelet. i want to get 76 kg & abs. Hey adrian , i have a very disproportionate body and iam just going crazy ..i have thin legs and a flabby waist probably an apple trait..ive just done everything to g rid of the fat at the waist but nothing works..whole body shrinks but the waist remains same.last option left for me is liposuction which i dont ..n i even wanna do something to get bigger legs.plz help me out. Hi Adrian and thank you in advance for your help! I am a 31 year old male, 5'11" and at the moment way 165. I am extremely fortunate to have the genetics and body type I have because I stay ripped year round and haven't been in a gym in 2 years +/-. and have a horrible diet. This is going to sound conceded but my physique is near perfect but I want to be the best I can. I recently decided to get in the best shape of my life and want to know the best way to go about doing it. I put on muscle EXTREMELY easy. I literally see results in a matter of days of just doing push ups. In high school I was in epic shape. 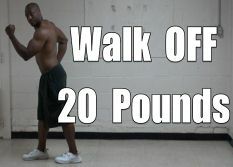 I was 18, weighed about 180 and lifted casually but heavy (Participate in the BFS program - High weight and low reps). I want to get back to that shape but would like to get to 190-200. I want to keep it simple and supplement taste is a big thing to me. I would like to keep it to 1 type of protein shake (The blended shake you spoke of got my attention) and I would also need help getting enough carbs, fats, etc... as I am looking to put on weight (My metabolism is unreal). 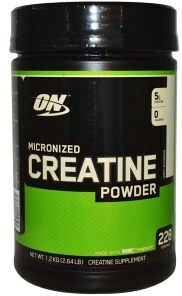 I used creatine years ago and it seemed to produce great results but I may wait on that. Thoughts? Bottom line, I don't have time to eat the way I should and will probably be working out 4-5 days a week max for 30 minute sessions. What supplements/methods do you suggest for putting on that extra 25-30 pounds? I really appreciate any help you can give me. I'm a 23 yr old Indian girl and I weigh 75 kgs. I have been following fitnessblender.com workout schedules for a month now and strict on diet, checking my calorie intake and everything. I want to lose weight, lose flab, gain lean muscle and get a toned body in a month, since am already working out, I expect to reach my goal soon. However, I am not getting enough protein from my diet. What protein supplements should I take? will soy be great? I have started working out in the morning while doing intermittent fasting. Is it ok? Will taking protein supplements, help me gain muscle fast and lose fat faster? Please let me know ASAP 'coz I don't want to let my hard work go to waste, if am not doing it right. Thank you for your reply. So working out while fasting is fine right? 'coz I've read that taking some food is necessary before working out. Is it? Nice post..How many proteins should be take in a day? 1- The gold standard whey protein am using states that their is soy lecithin in it, would that raise the estrogen level? 2- It also states that it should be avoided if individual is trying to lose weight, is that true? or i can consume it as long as i don't exceed the caloric surplus? hi there Adrian! I am female, my height is 172 sm, my weight is 65. 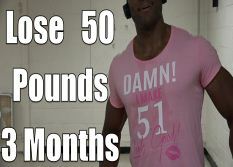 How long will it take me to lose 15 kilos on a VLCD 600 calories a day?Thanx! thank you for your reply! 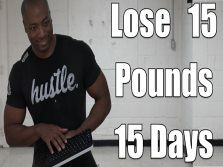 I counted on one of the caloriescalculators online it would take me 15 weeks. Will it be faster if I eat 1 meal a day and the rest would fast? Also, could you please tell me-I have read that oat bran calories dont count because they are poure insoluble fiber so there is no need to count them. is it true? I'm 177cm (5ft10.5) tall and weigh 60kg so I guess you could say I have a slim/skinny frame. I try to work out for 45 mins most days of the week just lifting weights and using a chin up/pull up bar. However, muscle doesn't seem to be building and if it is, then the process is incredibly slow. I was just wondering which protein shake or exercises should I do which fit my description best? Please recommend something as everywhere I go, everyone suggests everythings the same and I end up not buying as I'm unsure and there has to be a reason for differences in stuff like protein shakes - whey, casien, isolate etc. It'd be lovely to hear a reply, Thanks mate. have you seen this plan? I’m 19 years old, 6 foot tall male. I have a skinny frame and I am starting to noticing some fat around my abdominals and other parts of my body. I am an taekwondo instructor and I am not as active as I use to be when I was a student. I am studying 3 different medical degrees, so I don’t have any time to work out or have a proper meal some times, since I spend the majority of the time studying. A lot of my money has gone into my medical degree so I can’t really afford any fancy diet for gaining muscle. Some weeks I can squeeze in at least 20-40 mins a week of weights session at the university gym. My question is "How do I gain muscle on a budget?” and “What kind of things should I take? i´m 23 years old 1.8 meters tall man, i have lost 7.5 inches in my waist in the last months now i´m 39 inches, i still have some work to do, and i already built some muscle (for example my arm is 15 inches), now reduce my waist is becoming a more slow process, i still see it but is more slow, my concern is about to add carnitine first time in the morning and before workout (usually at 11am), will carnitine make me loss my last 5-7 inches in my waist but at the same time make me lost some of the muscle i already built? or carnitine will give me energy for intense muscle and cardio workouts and lost my last 5-7 inches and to the same time get bigger muscles?. i hope you got a minute to give me your opinion and sorry if my redaction isn't good, i'm mexican and learning english, greetings!! !